On February 13, in the area of the Anti-Terrorist Operation (ATO) in the Donbas, militants of terrorist groups increased the intensity of shelling on the positions of the Ukrainian Armed Forces (APU), the press center of the ATO headquarters reported on Facebook. “In total over the past day, along the entire contact line, the enemy conducted 14 targeted attacks at the positions of the Armed Forces of Ukraine. 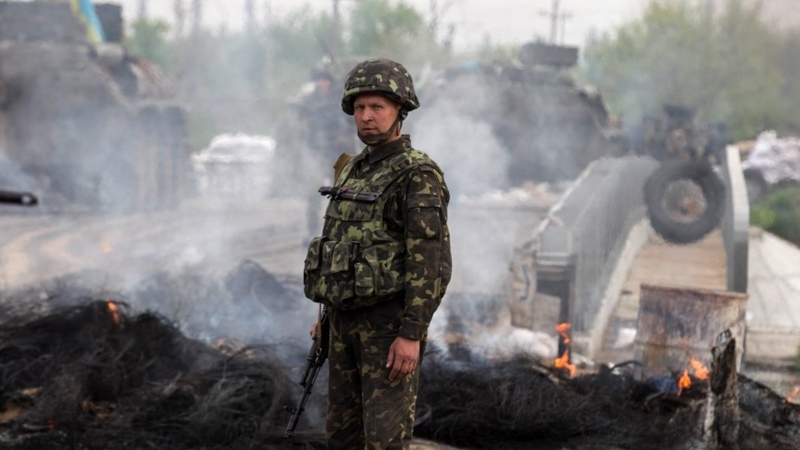 As a result of enemy fire, none of the Ukrainian soldiers suffered," reads the report. On the Luhansk direction, the militants shelled the positions of the ATO forces near Troitsky from an artillery mount of 122 mm caliber. Near Novozvanivka and Popasna terrorists opened fire from mortars of the 82 millimeters caliber. In addition, from the grenade launchers, the militants shelled the positions of the Armed Forces of Ukraine near Mayorsk, Zaitsevo and Stanytsia Luhanska. Earlier, on February 12 in the ATO zone, 11 cases of ceasefire violations by the militants were recorded, as a result of attacks one serviceman of the Armed Forces of Ukraine was killed, two more were injured.